Protestors picketing in front of Detroit bankruptcy court last year. City retirees, employees and other creditors will soon get to vote on the city's plan to emerge from bankruptcy. Nearly 10 months after Detroit filed for bankruptcy protection, tens of thousands of people are about to get a say on plans to not pay them everything they are owed. The city filed for bankruptcy in July in an effort to shed most of the $11 billion in unsecured debt it argues it can no longer afford to pay. By May 12, Detroit will send out ballots to creditors, including nearly 10,000 city employees and about 23,000 retirees. Other creditors range from banks and other investors holding bonds to local businesses that are owed for goods or services sold to the city before the filing. The mailing will include hundreds of pages of documents on a CD that can be read on a computer. It also includes a paper ballot on which the city will ask those owed to accept cuts in payments. Some of the reductions sought are relatively small, but others run deep. Bankruptcy Court Judge Steven Rhodes signed off on sending out the reorganization plan on Monday, although he has yet to rule on the content of the plan itself. Ballots are due back July 11, a week before the 1-year anniversary of the bankruptcy filing. Detroit needs a "yes" vote in order to emerge from the nation's largest municipal bankruptcy by this fall. Some early critics of the city's bankruptcy plans, including many of the unions and pension plans, have come around and now recommend that members vote "yes" on the proposed cuts. Tentative deals they have reached with the city call for much less drastic cuts than were originally proposed. Because of that, some experts predict the city's plan will win approval. 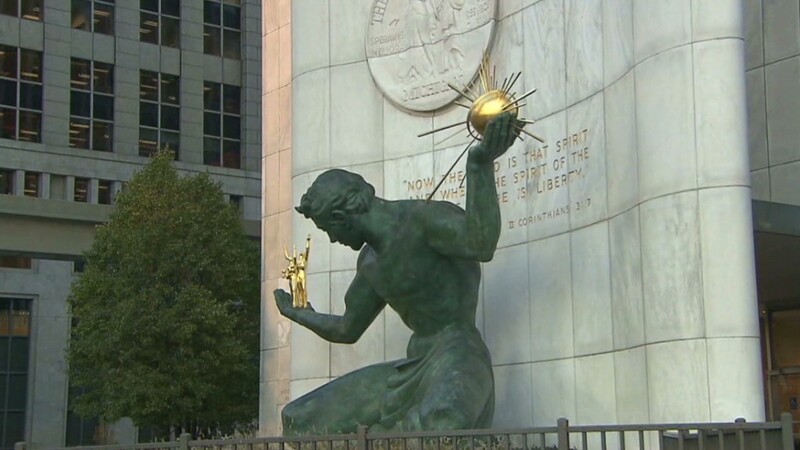 "I think that the employees may be afraid of what they'll get if this plan is not confirmed," said attorney Michael Sweet, an expert on municipal bankruptcies who is not representing any party in the Detroit case. For example, police and fire firefighters will see no cuts to their current pension benefits and would receive nearly half of their annual cost-of-living increases moving forward. Other retirees would see their pensions cut by 4.5% and lose cost-of-living adjustments all together. That compares with original plans for a cut of up to 34% for most retirees, and up to a 14% cut for police and fire workers. 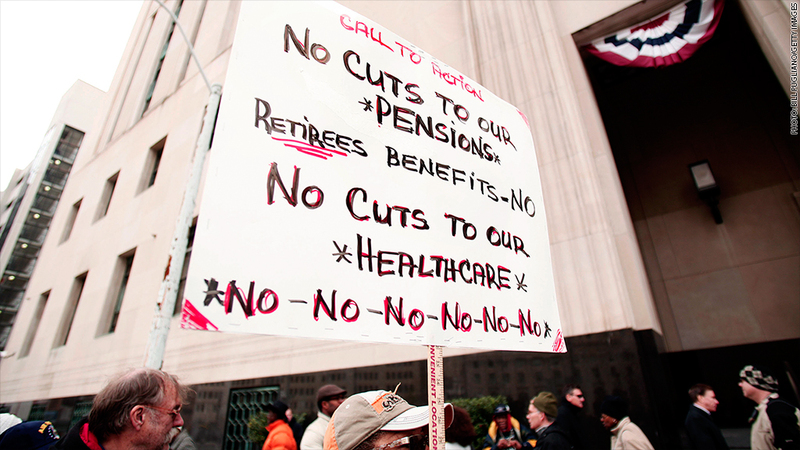 But there will be far sharper cuts in the health care coverage promised to retirees. And while some of the unions have reached new tentative labor deals, several major unions, including those representing more police and fire fighters, have yet to reach a deal. Some groups are objecting to even these more modest cuts and are urging employees and retirees to vote "no." They believe that the Michigan constitution protects against cuts on pension benefits, and that accepting the cuts would limit future legal challenges. Many of the retirees and employees say they will have trouble making ends meet even if the cuts aren't as bad as they originally feared. The votes will be weighted based upon how much each creditor, employee and retiree is owed, with the court looking for agreement from a majority of the amount in claims. But even if the various creditor classes vote against the reorganization plan, Rhodes can still go ahead and impose the cuts proposed by the city. "The judge can approve a plan over the objection of creditors," said Sweet. "But then it gets more complicated."